A running coach or personal trainer is an excellent idea to help you to progress and continually improve. Not only that, but when you’re starting out, you’ll get the motivation, guidance and support that beginners often need. An experienced running coach or personal trainer will know exactly how far to push you to get the best from you so that you continue to improve, but also not push you too far. In the early stages of running you’ll make very good progress by doing only small amounts of running because doing too much or pushing yourself too hard can really set you back. When you start running, it’s essential not to try and run too fast. But when running on your own, the temptation is to push yourself beyond what you are capable of doing. This is counterproductive because you’ll get disheartened and demotivated by the fact that you can’t go very far without having to stop to catch your breath or give your legs a rest. A running coach will set you clear and definite aims and objectives of what you should try to achieve in each session. By holding you back a little in the early stages, you are ensured of a constant and steady progression towards your goals. A good running coach should also have an in depth knowledge of correct nutrition for runners and be able to design a meal plan or advise you how to eat to get the most from your running training. Firstly they may know how to run themselves, they can train and push themselves hard and may actually be a really good runner, but other than that they’ve never worked with or had any experience whatsoever working with other runners. Secondly they have no experience in coaching. Everyone is different and everyone responds differently to running. Some people can be pushed harder than others and love the feeling of getting out of their comfort zone, whilst others hate that approach. Thirdly their knowledge may be based around information they’ve heard from other runners or reading magazine articles. They may have no formal training or education in how the body works and responds to the effects of exercise. Finally they may have no empathy for you. Their approach may be wrong and they may expect you to push yourself further than you’re capable of going at first. Adopting this approach can be disastrous because you’ll lose interest, won’t keep getting better and you’ll potentially run the risk of injury and overtraining. 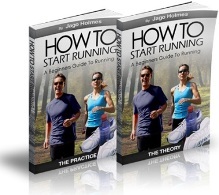 A running coach knows all this and will tailor a running plan to suit your needs and expectations. They will encourage and motivate you on to success. Just remember to check they are qualified and have experience working with runners from all levels and backgrounds.